In the 1930s, when my mother was a teenager in the small town of Albany, on the east side of San Francisco Bay, she lived on a street called Ramona Avenue. By that time, California was replete with streets having the same name, as well as Ramona schools, libraries, squares, statues, and highways. There was even a town named Ramona. All were traceable to a book written by an earnest lady from Massachusetts who probably never dreamed, in her early life, that she would end up as the author of one of the most influential books about California ever written. Helen Hunt Jackson (1830-1885), born Helen Maria Fiske, grew up in Amherst, Massachusetts, not far from the house of one of her lifelong friends the future poet Emily Dickinson. Her father was a stern Congregationalist minister and a professor of classical literature and philosophy at Amherst College. Her mother was a writer. After both her parents died while Helen was still young, she was raised by an aunt and received an excellent education at boarding schools in Massachusetts and in New York City. In 1852 she married a U.S. Army Captain, Edward Hunt, and moved with him from post to post. In 1854 her first child died of a brain disease. In 1863 her husband died while participating in U.S. Navy experiments to develop underwater vessels. In 1865 her other child died of diphtheria. After a period of great grief she moved to Newport, Rhode Island, one of the places her husband had been posted, and where many writers lived. Encouraged by many friends, including Emily Dickinson, she wrote children’s stories, poems, travel pieces, novels and essays. By the early 1870s she was one of the most widely published women writers in the U.S. and was receiving praise from prominent authors such as Ralph Waldo Emerson. In 1872 she decided to move to California hoping the climate would cure her respiratory ailments. On the way, in Colorado Springs, she met William Jackson, a Pennsylvania Quaker, banker, and railway investor. They were married in 1875 and settled in Colorado. Her husband’s wealth ensured that she had time to pursue writing. In 1879, while visiting friends in Boston, she had the fateful experience of hearing a translated lecture by Chief Standing Bear, of the Ponca tribe in Nebraska, about the mistreatment of Indians generally. She determined to take up the cause. She circulated petitions, raised funds to pay for legal actions, and wrote letters to newspapers, in many of which she attacked the U.S. Secretary of the Interior Carl Schurz. In 1881 Jackson published A Century of Dishonor. Based on extensive research, although the research was in the libraries of New York City and not face-to-face interviews out west, A Century of Dishonor powerfully catalogued the federal government’s long record of corrupt management of Indian affairs, encroachment upon reservations, and broken treaties. The book caused a national outcry and led the Department of the Interior to try to pacify her by inviting her and a translator, the Indian agent Abbot Kinney, to probe the conditions of the Indians of southern California, who had been of special interest to her ever since the article she wrote about them for an 1881 issue of Century Magazine. 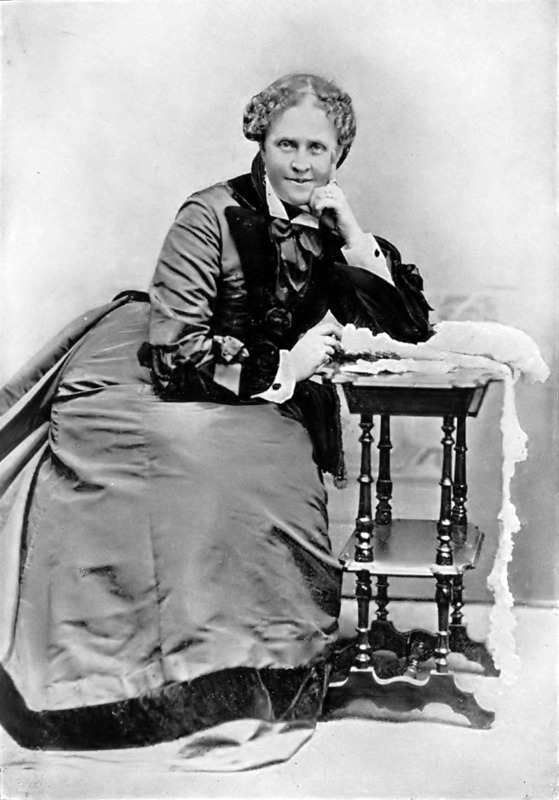 The 56-page report she produced in 1883, calling for “atonement” by the government and recommending numerous actions, was virtually buried by the government and led to no actions. 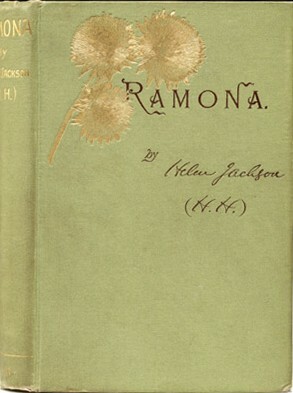 Undaunted, and in the midst of other writings, she produced a novel, Ramona, that was published in book form in 1884. The novel told the story of an orphan girl, Ramona, who was half-Scot and half-Indian, and who grew up in the society of 1870s Southern California, at a time when Eastern values and real estate development were beginning to dominate the area and to put pressure on the older Spanish rancho culture. Ramona and her Indian husband, the shepherd Allesandro, struggle to preserve the old Spanish ways and to develop their land in the face of suspicion and ostracism. Allesandro is eventually shot by a white man and dies in Ramona’s arms. After a period of grief Ramona remarries and moves to Mexico with her daughter and new husband, alienated from the Southern California that is being remade according to the new American ways. The novel received great popular attention and was a commercial success, often being compared to Uncle Tom’s Cabin. 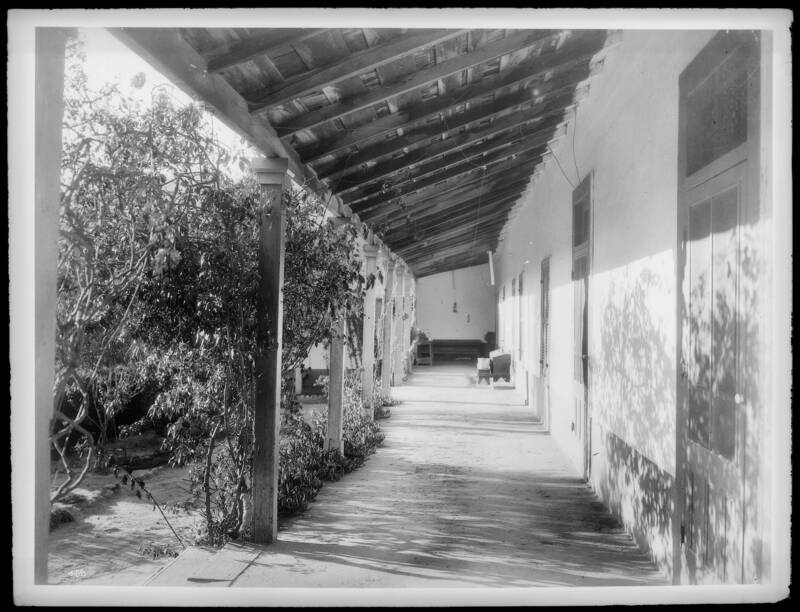 Nevertheless, the most important effect of Ramona was that it helped to reinforce sentimental, romantic myths about California Indians and Spanish missions. A part of Helen hunt Jackson had always felt stifled by her Calvinist upbringing. The virtues and the romance of the old California culture ended up being stronger elements in her novel than its message about the need for reform in treatment of Indians. The novel’s greatest effect was that it fostered a boom in romantic tourism, speaking to the search among southern California residents and, indeed, many other Americans, for texture and aesthetic fullness at a time when many parts of the United States were becoming heavily settled and urbanized. For many Californians, the nostalgic world-view offered in Ramona became the model for the regional society they wanted to create, setting in motion a boom in place names and architectural copying. Not always aware that the novel was a work of fiction, tourists began visiting “Ramona’s birthplace” in San Diego and were soon attending the “Ramona Pageant” presented each year, eighty miles north of San Diego in Hemet in Riverside County. In the 60 years after its publication Ramona sold 600,000 copies. The book is still in print, and there have been four movies based on the novel over the years, as well as radio plays, television productions, and a Spanish-language telenovella. 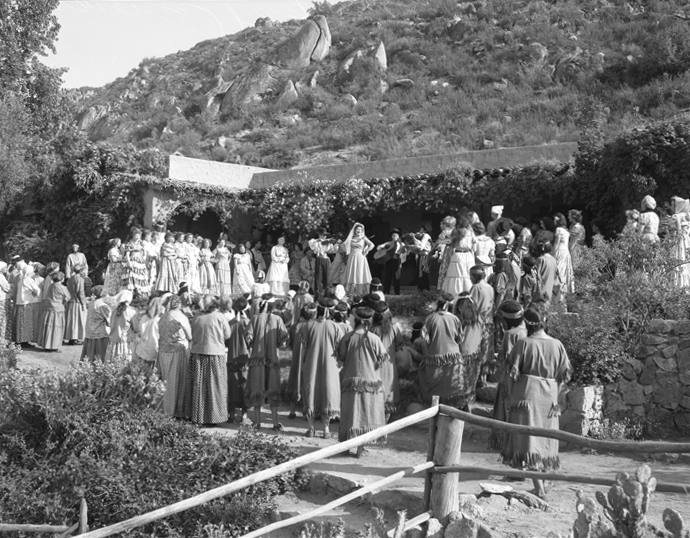 The Ramona pageant continues to take place every year and it is the official play of the State of California. Jackson died in 1885. Two years later, in an action that was perhaps indirectly influenced by her extensive publicity efforts over the years, Congress passed the Dawes Severalty Act, a generally sincere although misguided attempt to alleviate the problems of the reservation system. The Act parceled reservations into small farms that Indians were to own and work, thereby becoming “civilized.” But it hastened the destruction of Indian cultures and social structures, caused many Indians to be cheated when they sold their holdings to whites at low prices, and furthered the encroachment onto Indian lands by whites. Ramona never achieved its author’s reformist goals, but it did give California one of the myths that continues to dominate the state’s vision of itself.